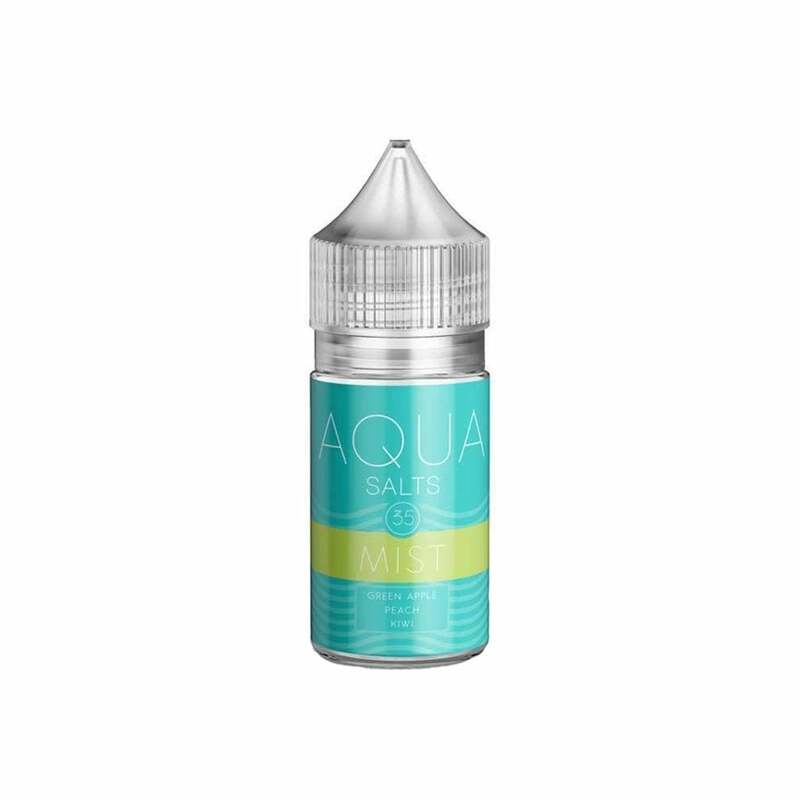 Aqua's Mist vape juice - now available in a nicotine salt blend. Mist is a fruity combination of crisp green apple, juicy peach and kiwi that's packed with refreshing flavour. If you love a fruit e-liquid, this is a serious contender for your next all-day vape! Aqua's Salts range brings you all your favorite Aqua juices, now optimized for your refillable pod mod or mouth-to-lung device. Great flavor. However, I find it made me cough for some reason. I wanted to love this flavor as I love most of the Aqua Salt liquids. This one flavor wise was great but unfortunately must be too thick for the POD delivery system I'm using. Even after 30 minutes of waiting for the juice to absorb, I get one nice flavorful puff and then shortly after I start tasting burnt cotton. I have not had that issues with any other flavor from this company. The flavor is strong and really good but not quite what i was looking for. I was hoping the Apple would be stronger but i can only taste the peach and the kiwi. Very smooth. Even though I was turned off about the Apple flavoring I’ve been using for 3 days now and it’s really grown on me. Super sweet. Using in Smok Nord. Would order again. I don't like it. The peach flavor is artificial and overly strong. Definitely my favorite brand of vape juice! Tastes so tropical & lasts a while with my pod system. I’ll always buy aqua! Excellent nic salt. My go to daily along with their other mango flavor!